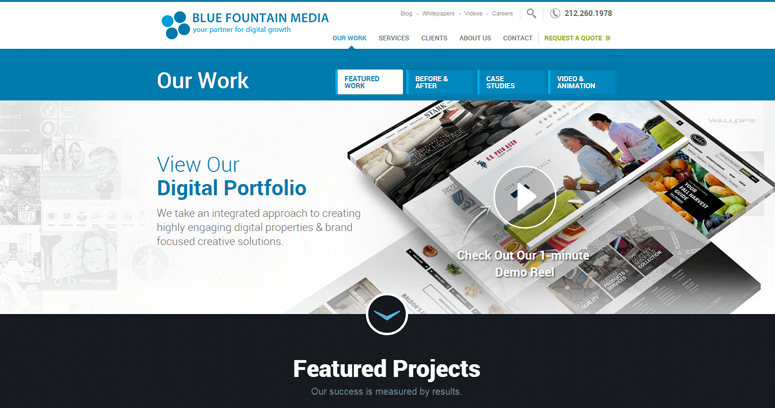 Blue Fountain Media has been operating out of New York City for years, but this has not stopped them from being able to provide their services to companies all across the world. 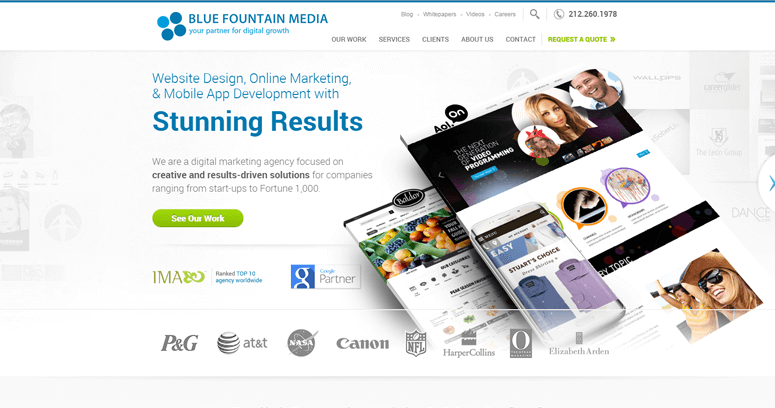 Currently, Blue Fountain Media is actually considered to be the best digital agency that is available within the entire industry. 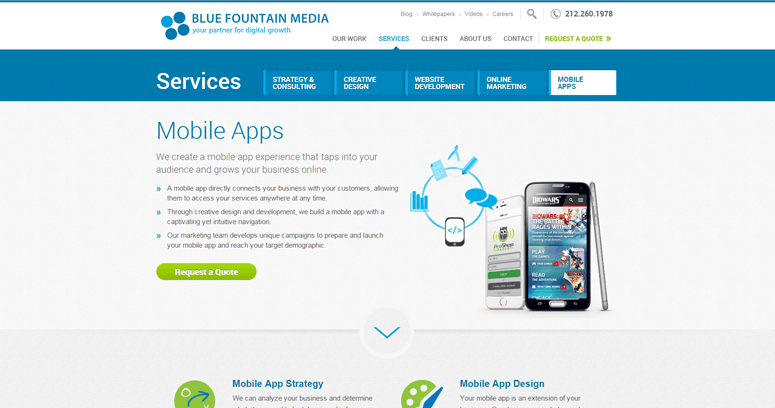 Some of the service areas that they provide services in are web & mobile development, online marketing, strategy & consulting, mobile apps, and creative design. Some of the industries that they provide services to are eCommerce, B2C, B2B, education, startups, and non-profits. Some of the services that they can provide their clients are social media marketing, display advertising, online public relations, mobile app strategy, mobile app marketing, responsive website development, content management systems, logo design & branding, video production, print design, and search engine optimization.